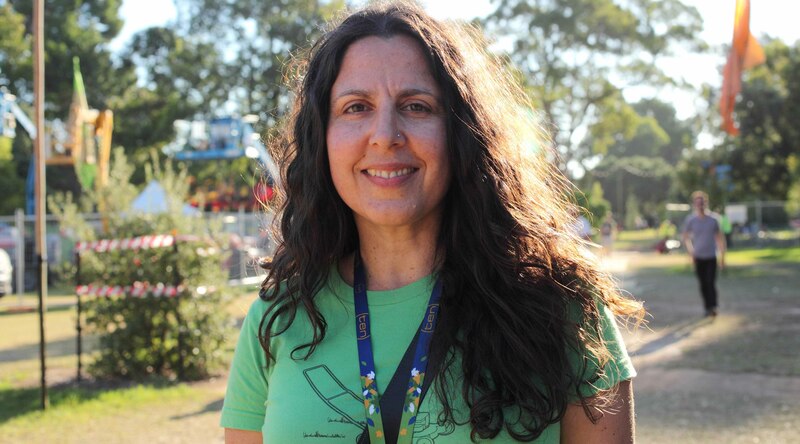 Womadelaide's Annette Tripodi has 365 days to hand pick 690 artists for the four day music fest | Daily Review: Film, stage and music reviews, interviews and more. 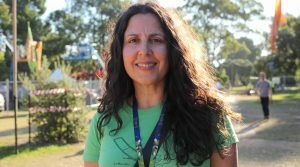 As WOMADelaide prepares to open the gates of Adelaide’s Botanic Park from March 9-12, Murray Bramwell talks with Program Manager Annette Tripodi about the 2018 program. March is a brilliantly mad month in Adelaide. It is when the city is captured by the Festival and Writers’ Week, the ever-expanding Fringe, the Clipsal 500 Supercar race, and WOMADelaide. Each event has its signatures, rituals and durable traditions – but that seems almost especially true of WOMAD. Now in its 26th year, it has come a long way from its beginnings as part of Rob Brookman’s Adelaide Festival in 1992. Borrowed from the WOMAD UK event which began in 1982, under the patronage of high profile musician, Peter Gabriel and his RealWorld record label, the Adelaide version set high standards and created enduring expectations. It became a stand-alone event in 1993 and featured every second year until 2002 when it became an annual fixture, extending from three to four days in 2010 to take advantage of the rescheduled Adelaide Cup public holiday. There are many reasons for WOMADelaide’s popularity but perhaps the most significant is its location. Botanic Park near the Adelaide Zoo and Botanical Gardens is a prime location in the CBD, part of the heritage North Terrace precinct. Until last year, when concerts by James Taylor, Santana and Stevie Nicks were staged there, WOMAD has had exclusive use of the park since its inception. And that was a lucky accident. Initially, in its first year, Belair National Park was to have been its location. But high temperatures and total fire bans meant WOMAD needed to be re-located. Botanic Park was made available as a venue and, with its majestic Moreton Bay figs and giant eucalypts, it has remained so. The annual cycle for the festival means that securing artists is a continuous process and often, after extended discussions, arrangements fall through, or have to be postponed. 2018 will see some ambitious projects at WOMAD. 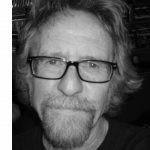 As Tripodi observes – “A few of them have been bubbling away for a while. Anoushka Shankar is someone we have been talking with over the last three festivals. “ Last seen at WOMAD in 2010 with her father, sitar virtuoso, the late Ravi Shankar, Anoushka’s career, says Tripodi, “has progressed in leaps and bounds . This particular show Land of Gold is spellbinding. It’s not your classically traditional sitar concert.“ Land of Gold, an exploration of the experience of people displaced by poverty and war, promises to be a Friday night highlight. 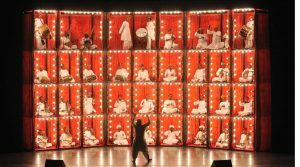 Another high profile Indian production is The Manganiyar Seduction, featuring 40 musicians and its own performance stage in Frome Park, adjacent to the main WOMAD site. 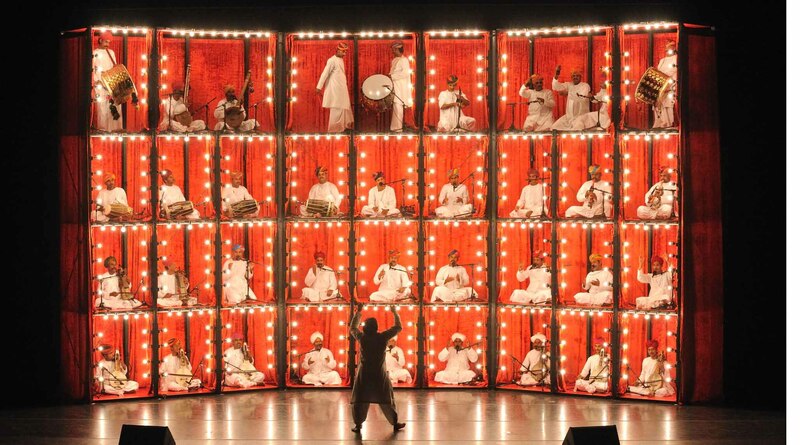 It features three generations of Manganiyars, a caste of musicians from the Thar Desert in Rajasthan. 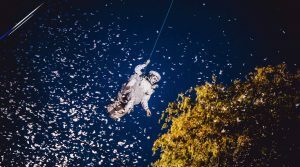 “We have wanted this show since it performed at the Sydney Festival in 2012,“ says Tripodi, “It’s one of the most spectacular shows I’ve seen.” It will play each night of the festival at 9.30pm. 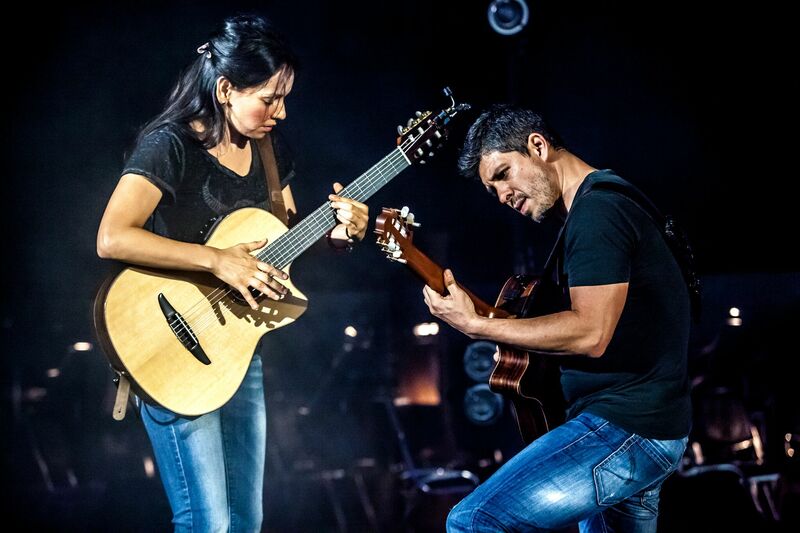 Other headliners that Tripodi is especially pleased to lock in are Rodrigo y Gabriela, a Mexican acoustic guitar duo who will capture the Foundation Stage Friday audiences with their brilliantly dexterous Latin rhythms and Flamenco folk rock stylings. On Saturday the amiably raucous Gogol Bordello will hold court. 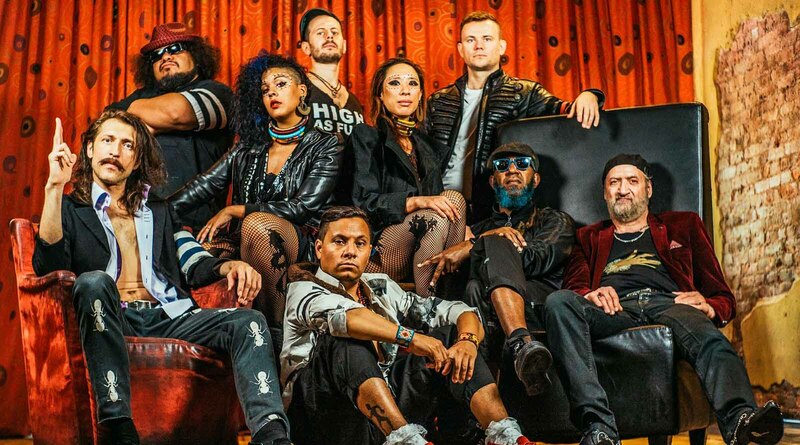 Hailing from New York City, they feature members from the Ukraine, Ecuador, Russia and Ethiopia, and will showcase their newest CD, Seekers and Finders. Their gypsy punk sound is reminiscent of Frank Zappa and the Mothers in their heyday – or more recently, last year’s WOMAD raves, from Turkey, Baba Zula. Also to watch out for on Saturday, Violons Barbare – a trio from France, Mongolia and Bulgaria- a tuva-voiced mix of strings and percussion; and Ghanaian legends, Pat Thomas and the Kwashibu Area Band. 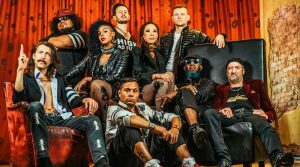 The Sunday headliners include Havana Meets Kingston, a supergroup of Latin and reggae stars (convened by Australian producer Mista Savona) which includes bass and drum luminaries, Sly and Robbie, and members of the Buena Vista Social Club. Admirers of the prodigiously talented saxophonist and bandleader, Kamasi Washington are eagerly anticipating his once-only WOMAD appearance. His triple disc composition, suitably named The Epic, is a masterpiece of contemporary jazz. And the original desert blues exponents, Tinariwen, Tuareg nomad musicians from Mali, will return to WOMAD after conquering the world stages with their rock-steady sound. Among many auspicious acts, Thievery Corporation promise to be a Rasta electronica fusion highlight on Monday night with their hypnotic Temple I and I album – featuring Thief Rockers, the rap apocalypse of Ghetto Matrix, and with the ever-timely Drop the Guns they will have the WOMAD crowds grooving with purpose. On Stage 2, the Tao Dance Theatre from China will put the D back in the World of Music and Dance with their works 4 and 6 choreographed by Tao Ye. 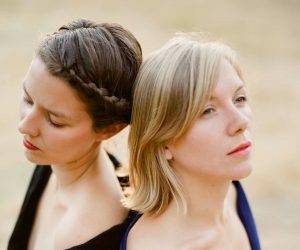 WOMADelaide has always featured an impressive array of women performers and this year is no exception. Annette Tripodi enthusiastically lists some of them – Dayme Arocena from Cuba, recently feted after concerts in the UK, popster Bedouine who has just toured with Fleet Foxes in the US, Lebanese singer Ghada Shbeir, “a legend in her part of the world” interpreting classical Arabic music, Middle-Eastern folk and ancient Maronite chants, and Bulgarian singers Eva Quartet, part of the Grammy award winning choir Le Mystere des Voix Bulgares. 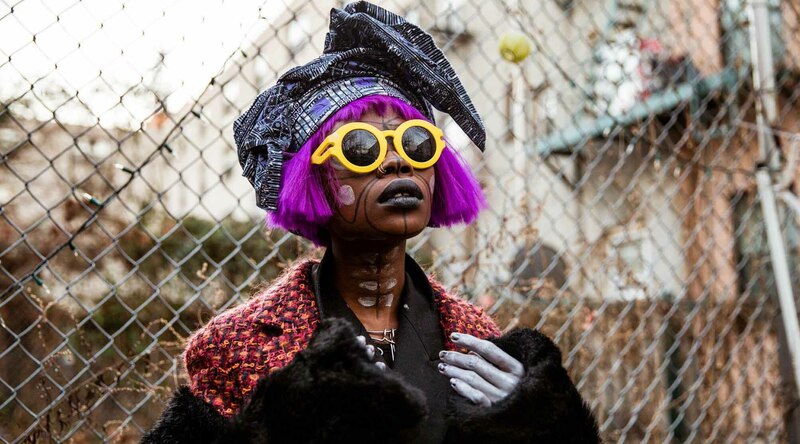 Also from Ghana is Jojo Abot, Cape Verde singer Lura returns and Noura Mint Seymali will represent the strong matriarchal music of Mauritania. The more introspective performance spaces – the Zoo Stage, Moreton Bay and Novatech – will again feature memorable artists. Tripodi particularly notes the Rahim Al Haj Trio, featuring the master oud player’s poignant composition Letters from Iraq, a meditation on war – perhaps comparable to another oud composer, Anouar Brahem’s extraordinary work, Souvenance. Rajab Suleiman and Kithara from Zanzibar will perform, as will the splendid female folk duo, My Bubba – featuring Guobjorg, from Iceland, on guitar and My, from Sweden, playing lap harp. Their CD Big Bad Good is one you will want to own. Also, in the folk category and not be missed – Elephant Sessions, a Scottish quintet, featuring infectious trad-funk-jig amalgams, and the vibrant balladry of Canadian Quebec band, Le Vent du Nord. The Australian contingent is large and impressive. Deborah Conway and Willie Zygier are listed, Dan Sultan will feature his excellent Killer album, Kings and Associates will sing the blues from their Tales of a Rich Girl release, Tex, Don and Charlie (Perkins, Walker and Owens) will sing How Good is Life, and the Mission Songs Project, convened by Jessie Lloyd will perform revived, almost lost, much-loved secular songs from Aboriginal communities and missions across Australia in the mid 20th century. Spectacular site installations have always been a feature of the WOMAD experience. Last year’s Exodus of Forgotten Peoples, a fire sculpture from French lumineers, Carabosse is a vivid example. This year, each night, Gratte Ciel (Skyscraper), also from France, will take to the canopy above the park for their aerial circus Place des Anges. Also featuring will be Ackroyd and Harvey and their giant people portraits projected on the grass and large screens. Like Gratte Ciel, they visiteded WOMAD in 2017 scoping the terrain and taking photos of people in the crowd. They will now be featured each night of this year’s festival. Annette Tripodi has an especially good feeling about this year’s WOMAD. It is ambitious program, it includes large companies like Manganiyar and big choirs, like Dustyevsky and Mama Kin Spender. There are some challenging logistics with more than 650 artists, but all the ducks are in a row. 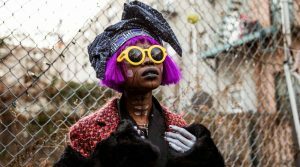 She has been able to include particular favourites such as Chileans – singer Nano Stern and the popular band Chico Trujillo – and the rambunctious New Orleans slam rap outfit, Tank and the Bangas. All that is is left now is for the show to begin. Main image: A scene from the aerial circus Gratte Ciel show ‘Place des Anges’.